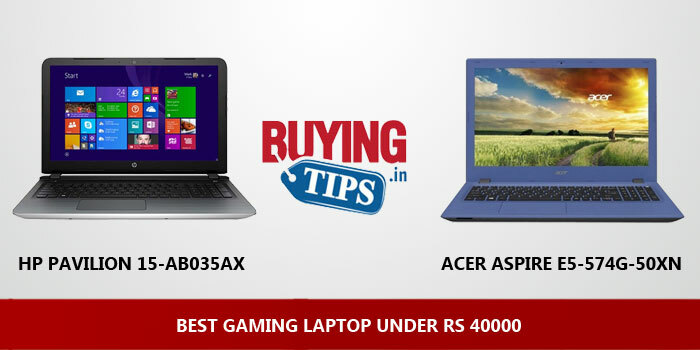 If you want a gaming laptop under 40000 rupees, do keep in mind that it won’t be able to play all the high-end games. Instead, you should be able to play most low-end to mid-end games and even some high-end games on low / medium settings. In the 40k price range, there aren’t too many options as far as gaming laptops are concerned. Below, we have picked two of the best available budget gaming laptops, one has a AMD processor and the other has the Intel i5 processor. Processor: The Intel i3 is the norm in this price range. Both the laptops we have picked below have better processors as compared to most under 40k laptops. Graphics: Intel 920M GPU is the standard, the AMD R7 series is faster. 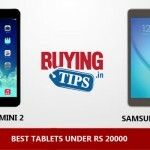 RAM: Most laptops for this price come with 4GB RAM. You need to spend a little more to increase the RAM. 8GB is the bare minimum if you want good gaming performance out of your laptop. Display resolution: If gaming is what is important to you, then HD (1366 x 768 pixels) is enough. Most laptops low / medium budget laptops come with HD displays. Our top pick has Full HD display. The reason we picked the AMD laptop from HP as the laptop of our choice is because it has a faster GPU, 8GB RAM (so you don’t need to buy additional RAM / memory), quad core processor, Full HD display and the notebook is also lighter in weight. So even though you have to spend a little more than 40000, you get a better overall laptop than the Intel i5 powered Acer Notebook. 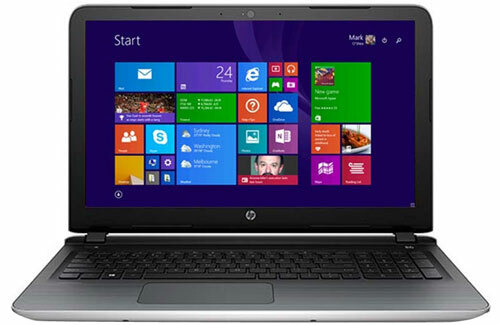 Excellent specifications: The HP 15-ab035AX is powered packed. You don’t get 8GB RAM, Full HD display and all the other specs in this price range. Display: 15.6 inch display, viewing angles and brightness is decent. Full HD resolution is great for document viewing, office work etc. Reduce the resolution when gaming. Operating System: Comes pre-installed with Windows 8.1. Upgrade to Windows 10 is free. Processor: Quad core AMD processor, runs fast and performed most tasks efficiently. You can easily multitask too i.e open multiple applications. Keyboard: It’s comfortable to type, but a sucker for dust due to the gap between keys. You should invest on a keyboard cover to protect the keys. Connectivity: The notebook comes with 3 USB slots. One is USB 2.0 and two are USB 3.0. Supports HDMI and Bluetooth too. The laptop does heat up quite a bit when playing games for a long period of time. The trackpad isn’t great, we highly recommend purchasing a USB mouse. Battery life is average, about 3 – 3.5 hours. Heavy gaming always drains the battery fast, which is normal for laptops. 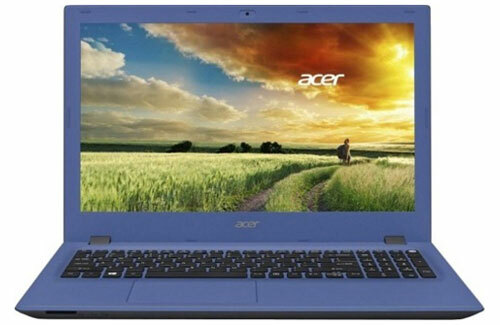 The Acer Aspire E5-574G-50XN is the best available Intel processor choice in this price bracket. It has the 6th generation Intel i5 processor, 4GB RAM, Nvidia 920M GPU and HD resolution display. It’s slightly on the heavier side, at 2.4 kgs. If Intel is your preferred choice for processor, then you can purchase this laptop, but we highly recommend that you upgrade the RAM to 8GB. Update 12 Feb: We have received a lot of questions about the RAM that we recommend for the upgrade. The laptop comes with two RAM slots and one 4GB RAM. To upgrade it to 8GB, we highly recommend the Kingston DDR3 ValueRAM. 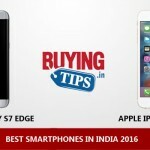 Purchase links: Buy from Flipkart or Buy from Amazon.in. Below we have direct links to purchase the Acer Aspire E5-574G-50XN laptop from the three leading e-commerce websites in India. Display: 15.6 inch display, viewing angles are not the greatest, but if you’re looking straight at it, the display is bright and produces good colour. Display resolution (1366 x 765 pixels) is good enough for gaming. Processor: The 6th generation i5 processor is good for both gaming and performing other tasks. We didn’t face any heating issues with the laptop. Graphics: Nvidia 920M graphics with 2GB memory. Tried and tested low-end GPU. Low to mid-end gaming isn’t a problem. RAM: Comes with 4GB RAM, we recommend upgrading to 8GB. Keyboard: Comfortable to type, well-spaced out. Operating System: Comes with Linux, so you need to purchase Windows 10 separately. The advantage is, you can install Windows 7, which is stable and mostly bug free. The trackpad isn’t great, you should consider purchasing a USB mouse. Battery life is average, about 3 – 4 hours. Heavy gaming always drains the battery fast, which is normal for laptops. Check Asus X555lf much better than both of these in terms of specs and cheaper as well.